1 OWNER!! NO ACCIDENTS!! CERTIFIED!! NAVIGATION!! BLIND SPOT WARNING!! HEATED SEATS!! BLUETOOTH!! HEATED STEERING WHEEL!! REAR VIEW CAMERA!! PUSH BUTTON IGNITION!! POWER LOCKS!! POWER WINDOWS!! Take a look at this adult owned NISSAN ALTIMA with a squeaky clean AutoCheck RIGHT HERE at Balise Nissan of Cape Cod! Must finance with participating lender to qualify for $450.00 dealer certificate included in online special price! Our trained technicians completed the inspection process and performed a fresh synthetic oil and filter change before our detail department made it shine, now all this nice ALTIMA needs is YOU! We accept all trades and have the most competitive financing terms because of the volume power of Balise!! Call Balise Nissan of Cape Cod TODAY to schedule an appointment for a test drive at 508-815-4010 or drop by Monday - Thursday 9 - 8, Friday - Saturday 9 - 6 and open every Sunday 11 - 5! 1 OWNER!! CERTIFIED!! NO ACCIDENTS!! BACKUP CAMERA!! BLUETOOTH!! PADDLE SHIFTERS! !ALLOY WHEELS!! KEYLESS ENTRY!! PUSH BUTTON IGNITION!! Take a look at this adult owned ALTIMA 2.5SR a squeaky clean RIGHT HERE at Balise Nissan of Cape Cod! Must finance with participating lender to qualify for $450.00 NMAC cash included in online price. Our trained technicians completed the inspection process and performed a fresh synthetic oil and filter change before our detail department made it shine, now all this nice SENTRA needs is YOU! We accept all trades and have the most competitive financing terms because of the volume power of Balise!! Call Balise Nissan of Cape Cod TODAY to schedule an appointment for a test drive at 508-815-4010 or drop by Monday - Thursday 9 - 8, Friday - Saturday 9 - 6 and open every Sunday 11 - 5! 1 OWNER!! NO ACCIDENTS!! CERTIFIED!! NAVIGATION!! HEATED LEATHER SEATS!! HEATED LEATHER STEERING WHEEL!! SUNROOF!! BLUETOOTH!! BLIND SPOT WARNING!! BACKUP CAMERA!! Take a look at this adult owned NISSAN ALTIMA SLwith a squeaky clean AutoCheck RIGHT HERE at Balise Nissan of Cape Cod! Must finance with participating lender to qualify for $450.00 dealer certificate included in online special price! Our trained technicians completed the inspection process and performed a fresh synthetic oil and filter change before our detail department made it shine, now all this nice ALTIMA SL needs is YOU! We accept all trades and have the most competitive financing terms because of the volume power of Balise!! Call Balise Nissan of Cape Cod TODAY to schedule an appointment for a test drive at 508-815-4010 or drop by Monday - Thursday 9 - 8, Friday - Saturday 9 - 6 and open every Sunday 11 - 5! 1 OWNER!! CERTIFIED!! NO ACCIDENTS!! BACKUP CAMERA!! BLUETOOTH!! PUSH BUTTON IGNITION!! POWER SEATING!! Take a look at this adult owned ALTIMA SR with a squeaky clean AutoCheck RIGHT HERE at Balise Nissan of Cape Cod! This NISSAN ALTIMA SR is fully equipped with PW, PL, and much more! Must finance with participating lender to qualify for $700.00 dealer certificate included in online special price! Our trained technicians completed the inspection process and performed a fresh synthetic oil and filter change before our detail department made it shine, now all this nice ALTIMA needs is YOU! We accept all trades and have the most competitive financing terms because of the volume power of Balise!! Call Balise Nissan of Cape Cod TODAY to schedule an appointment for a test drive at 508-815-4010 or drop by Monday - Thursday 9 - 8, Friday - Saturday 9 - 6 and open every Sunday 11 - 5! 1 OWNER!! NO ACCIDENTS!! CERTIFIED!! BACK UP CAMERA!! POWER DRIVER SEAT!! PADDLE SHIFTERS!! PUSH BUTTON START!! ALLOY WHEELS PAINTED BLACK!! SPOILER!! FOG LIGHTS!! Take a look at this adult owned ALTIMA 2.5 SR a squeaky clean RIGHT HERE at Balise Nissan of Cape Cod! Must finance with participating lender to qualify for $450.00 NMAC cash included in online price. Our trained technicians completed the inspection process and performed a fresh synthetic oil and filter change before our detail department made it shine, now all this nice ALTIMA needs is YOU! We accept all trades and have the most competitive financing terms because of the volume power of Balise!! Call Balise Nissan of Cape Cod TODAY to schedule an appointment for a test drive at 508-815-4010 or drop by Monday - Thursday 9 - 8, Friday - Saturday 9 - 6 and open every Sunday 11 - 5! 1 OWNER!! NO ACCIDENTS!! CERTIFIED!! NAVIGATION!! SUNROOF!! HEATED LEATHER SEATS!! BLIND SPOT WARNING!! BOSE SOUND SYSTEM!! HEATED STEERING WHEEL!! TECH PACKAGE W/ ADAPTIVE CRUISE!! REAR CROSS TRAFFIC ALERT!! Take a look at this adult owned ALTIMA SL a squeaky clean RIGHT HERE at Balise Nissan of Cape Cod! Must finance with participating lender to qualify for $450.00 NMAC cash included in online price. Our trained technicians completed the inspection process and performed a fresh synthetic oil and filter change before our detail department made it shine, now all this nice ALTIMA needs is YOU! We accept all trades and have the most competitive financing terms because of the volume power of Balise!! Call Balise Nissan of Cape Cod TODAY to schedule an appointment for a test drive at 508-815-4010 or drop by Monday - Thursday 9 - 8, Friday - Saturday 9 - 6 and open every Sunday 11 - 5! 1 OWNER!! NO ACCIDENTS!! NAVIGATION!! INTELLIGENT CRUISE CONTROL!! BLIND SPOT WARNING!! SUNROOF! !HEATED LEATHER SEATS!! POWER SEATING!! PUSH BUTTON IGNITION!! TECH PACKAGE!! Take a look at this adult owned NISSAN ALTIMA SL with a squeaky clean AutoCheck RIGHT HERE at Balise Nissan of Cape Cod! Our trained technicians completed the inspection process and performed a fresh synthetic oil and filter change before our detail department made it shine, now all this nice ALTIMA needs is YOU! We accept all trades and have the most competitive financing terms because of the volume power of Balise!! Call Balise Nissan of Cape Cod TODAY to schedule an appointment for a test drive at 508-815-4010 or drop by Monday - Thursday 9 - 8, Friday - Saturday 9 - 6 and open every Sunday 11 - 5! 1 OWNER!! NO ACCIDENTS!! CERTIFIED!! NAVIGATION!! SUNROOF!! HEATED LEATHER SEATS!! BLIND SPOT WARNING!! BACKUP CAMERA! !REAR CROSS TRAFFIC ALERT!! TECH PACKAGE W/ ADAPTIVE CRUISE CONTROL!! BOSE SOUND SYSTEM!! LOADED UP!! Take a look at this adult owned ALTIMA SL a squeaky clean RIGHT HERE at Balise Nissan of Cape Cod! Must finance with participating lender to qualify for $700.00 NMAC cash included in online price. Our trained technicians completed the inspection process and performed a fresh synthetic oil and filter change before our detail department made it shine, now all this nice ALTIMA needs is YOU! We accept all trades and have the most competitive financing terms because of the volume power of Balise!! Call Balise Nissan of Cape Cod TODAY to schedule an appointment for a test drive at 508-815-4010 or drop by Monday - Thursday 9 - 8, Friday - Saturday 9 - 6 and open every Sunday 11 - 5! 1 OWNER!! CERTIFIED!! NAVIGATION!! SUNROOF!! HEATED LEATHER SEATS!! TECH PACKAGE W/ ADAPTIVE CRUISE CONTROL!! BLIND SPOT WARNING!! BOSE SOUND SYSTEM!! BACKUP CAMERA!! REAR CROSS TRAFFIC ALERT!! LOADED UP!! Take a look at this adult owned ALTIMA SL a squeaky clean RIGHT HERE at Balise Nissan of Cape Cod! Must finance with participating lender to qualify for $450.00 NMAC cash included in online price. Our trained technicians completed the inspection process and performed a fresh synthetic oil and filter change before our detail department made it shine, now all this nice ALTIMA needs is YOU! We accept all trades and have the most competitive financing terms because of the volume power of Balise!! Call Balise Nissan of Cape Cod TODAY to schedule an appointment for a test drive at 508-815-4010 or drop by Monday - Thursday 9 - 8, Friday - Saturday 9 - 6 and open every Sunday 11 - 5! 1 OWNER!! NO ACCIDENTS!! CERTIFIED!! BLUETOOTH!! BLIND SPOT WARNING!! BACKUP CAMERA!! PUSH BUTTON IGNITION!! KEYLESS ENTRY!! Take a look at this adult owned NISSAN ALTIMA 2.5 SLwith a squeaky clean AutoCheck RIGHT HERE at Balise Nissan of Cape Cod! Must finance with participating lender to qualify for $450.00 dealer certificate included in online special price! Our trained technicians completed the inspection process and performed a fresh synthetic oil and filter change before our detail department made it shine, now all this nice ALTIMA SL needs is YOU! We accept all trades and have the most competitive financing terms because of the volume power of Balise!! Call Balise Nissan of Cape Cod TODAY to schedule an appointment for a test drive at 508-815-4010 or drop by Monday - Thursday 9 - 8, Friday - Saturday 9 - 6 and open every Sunday 11 - 5! 1 OWNER!! CERTIFIED!! NAVIGATION!! SUNROOF!! HEATED LEATHER SEATS!! HEATED STEERING WHEEL!! TECH PACKAGE W/ ADAPTIVE CRUISE CONTROL!! BLIND SPOT WARNING!! BOSE SOUND SYSTEM!! BACKUP CAMERA!! REAR CROSS TRAFFIC ALERT!! LOADED UP!! Take a look at this adult owned ALTIMA SL a squeaky clean RIGHT HERE at Balise Nissan of Cape Cod! Must finance with participating lender to qualify for $450.00 NMAC cash included in online price. Our trained technicians completed the inspection process and performed a fresh synthetic oil and filter change before our detail department made it shine, now all this nice ALTIMA needs is YOU! We accept all trades and have the most competitive financing terms because of the volume power of Balise!! Call Balise Nissan of Cape Cod TODAY to schedule an appointment for a test drive at 508-815-4010 or drop by Monday - Thursday 9 - 8, Friday - Saturday 9 - 6 and open every Sunday 11 - 5! 1 OWNER!! NO ACCIDENTS!! CERTIFIED!! NAVIGATION!! SUNROOF!! HEATED LEATHER SEATS!! BLIND SPOT WARNING!! BACKUP CAMERA! !REAR CROSS TRAFFIC ALERT!! TECH PACKAGE W/ ADAPTIVE CRUISE CONTROL!! BOSE SOUND SYSTEM!! LOADED UP!! Take a look at this adult owned ALTIMA 2.5SL a squeaky clean RIGHT HERE at Balise Nissan of Cape Cod! Must finance with participating lender to qualify for $450.00 NMAC cash included in online price. Our trained technicians completed the inspection process and performed a fresh synthetic oil and filter change before our detail department made it shine, now all this nice ALTIMA needs is YOU! We accept all trades and have the most competitive financing terms because of the volume power of Balise!! Call Balise Nissan of Cape Cod TODAY to schedule an appointment for a test drive at 508-815-4010 or drop by Monday - Thursday 9 - 8, Friday - Saturday 9 - 6 and open every Sunday 11 - 5! 1 OWNER!! NO ACCIDENTS!! CERTIFIED!! NAVIGATION!! HEATED LEATHER SEATS!! ADAPTIVE CRUISE CONTROL!! BOSE SOUND!! BLIND SPOT MONITORS!! HEATED LEATHER STEERING WHEEL!! SUNROOF!! BLUETOOTH!! TECH PACKAGE!! Take a look at this adult owned NISSAN ALTIMA 2.5 SLwith a squeaky clean AutoCheck RIGHT HERE at Balise Nissan of Cape Cod! Must finance with participating lender to qualify for $450.00 dealer certificate included in online special price! Our trained technicians completed the inspection process and performed a fresh synthetic oil and filter change before our detail department made it shine, now all this nice ALTIMA SL needs is YOU! We accept all trades and have the most competitive financing terms because of the volume power of Balise!! Call Balise Nissan of Cape Cod TODAY to schedule an appointment for a test drive at 508-815-4010 or drop by Monday - Thursday 9 - 8, Friday - Saturday 9 - 6 and open every Sunday 11 - 5! 1 OWNER!! NO ACCIDENTS!! CERTIFIED!! HEATED LEATHER SEATS!! BLUETOOTH!! BACKUP CAMERA!! BLIND SPOT WARNING!! PUSH BUTTON!! Take a look at this adult owned NISSAN ALTIMA SL with a squeaky clean AutoCheck RIGHT HERE at Balise Nissan of Cape Cod! Must finance with participating lender to qualify for $700.00 dealer certificate included in online special price! Our trained technicians completed the inspection process and performed a fresh synthetic oil and filter change before our detail department made it shine, now all this nice ALTIMA needs is YOU! We accept all trades and have the most competitive financing terms because of the volume power of Balise!! Call Balise Nissan of Cape Cod TODAY to schedule an appointment for a test drive at 508-815-4010 or drop by Monday - Thursday 9 - 8, Friday - Saturday 9 - 6 and open every Sunday 11 - 5! 1 OWNER!! NO ACCIDENTS!! CERTIFIED!! HEATED SEATS!! FOG LIGHTS!! POWER LOCKS!! POWER WINDOWS!! BED LINER!! PARKING SENSORS!! REAR VIEW CAMERA!! TOW PACKAGE!! Take a look at this adult owned NISSAN FRONTIER with a squeaky clean AutoCheck RIGHT HERE at Balise Nissan of Cape Cod! Must finance with participating lender to qualify for $1250.00 dealer certificate included in online special price! Our trained technicians completed the inspection process and performed a fresh synthetic oil and filter change before our detail department made it shine, now all this nice FRONTIER needs is YOU! We accept all trades and have the most competitive financing terms because of the volume power of Balise!! Call Balise Nissan of Cape Cod TODAY to schedule an appointment for a test drive at 508-815-4010 or drop by Monday - Thursday 9 - 8, Friday - Saturday 9 - 6 and open every Sunday 11 - 5! 1 OWNER!! NO ACCIDENTS!! CERTIFIED!! HEATED CLOTH SEATS!! BACK UP SENSORS!! TOW PACKAGE!! BED EXTENDER!! FOUR WHEEL DRIVE!! BLUETOOTH!! DUAL CLIMATE CONTROL!! Take a look at this adult owned NISSAN FRONTIER SV CREW CAB 4.0L V6 SHORT BED 4WD with a squeaky clean AutoCheck RIGHT HERE at Balise Nissan of Cape Cod! Must finance with participating lender to qualify for $1250.00 dealer certificate included in online special price! Our trained technicians completed the inspection process and performed a fresh synthetic oil and filter change before our detail department made it shine, now all this nice FRONTIER needs is YOU! We accept all trades and have the most competitive financing terms because of the volume power of Balise!! Call Balise Nissan of Cape Cod TODAY to schedule an appointment for a test drive at 508-815-4010 or drop by Monday - Thursday 9 - 8, Friday - Saturday 9 - 6 and open every Sunday 11 - 5! 1 OWNER!! CERTIFIED!! NO ACCIDENTS!! BLUETOOTH!! BACKUP CAMERA!! KEYLESS ENTRY!! 4WD!! Take a look at this adult owned NISSAN FRONTIER SV V6 with a squeaky clean AutoCheck RIGHT HERE at Balise Nissan of Cape Cod! Must finance with participating lender to qualify for $1250.00 dealer certificate included in online special price! Our trained technicians completed the inspection process and performed a fresh synthetic oil and filter change before our detail department made it shine, now all this nice FRONTIER needs is YOU! We accept all trades and have the most competitive financing terms because of the volume power of Balise!! Call Balise Nissan of Cape Cod TODAY to schedule an appointment for a test drive at 508-815-4010 or drop by Monday - Thursday 9 - 8, Friday - Saturday 9 - 6 and open every Sunday 11 - 5! 1 OWNER!! NO ACCIDENTS!! CERTIFIED!! NAVIGATION!! MOONROOF!! ROCKFORD FOSGATE SOUND!! BLUETOOTH!! ALL WHEEL DRIVE!! LOADED UP SV AWD!! Take a look at this adult owned JUKE SV AWD a squeaky clean RIGHT HERE at Balise Nissan of Cape Cod! Must finance with participating lender to qualify for $1250.00 NMAC cash included in online price. Our trained technicians completed the inspection process and performed a fresh synthetic oil and filter change before our detail department made it shine, now all this nice JUKE needs is YOU! We accept all trades and have the most competitive financing terms because of the volume power of Balise!! Call Balise Nissan of Cape Cod TODAY to schedule an appointment for a test drive at 508-815-4010 or drop by Monday - Thursday 9 - 8, Friday - Saturday 9 - 6 and open every Sunday 11 - 5! 1 OWNER!! NO ACCIDENTS!! CERTIFIED!! SUPER RARE NISMO RS AWD!! RECARO SPORT SEATS!! NISMO TUNED 215HP ENGINE!! NISMO TUNED TORQUE VECTORING AWD!! LARGER VENTED FRONT/REAR BRAKES!! NISMO TUNED SUSPENSION!! NISMO TUNED EXHAUST!! NAVIGATION!! ROCKFORD FOSGATE SOUND SYSTEM!! 360 SURROUND VIEW CAMERA!! REAR VIEW CAMERA!! PUSH BUTTON START!! WILL NOT LAST!! Take a look at this adult owned NISSAN JUKE NISMO RS AWD with a squeaky clean AutoCheck RIGHT HERE at Balise Nissan of Cape Cod! Must finance with participating lender to qualify for $1250.00 NMAC cash included in online price. Our trained technicians completed the inspection process and performed a fresh synthetic oil and filter change before our detail department made it shine, now all this nice Nissan needs is YOU! We accept all trades and have the most competitive financing terms because of the volume power of Balise!! Call Balise Nissan of Cape Cod TODAY to schedule an appointment for a test drive at 508-815-4010 or drop by Monday - Thursday 9 - 8, Friday - Saturday 9 - 6 and open every Sunday 11 - 5! 1 OWNER!! CERTIFIED!! NAVIGATION!! HEATED AND VENTED SEATS!! BOSE AUDIO!! BLIND SPOT WARNING!! REAR CROSS TRAFFIC!! INTELLIGENT CRUISE CONTROL!! KEYLESS ENTRY!! PUSH BUTTON IGNITION!! Take a look at this adult owned MAXIMA a squeaky clean RIGHT HERE at Balise Nissan of Cape Cod! Must finance with participating lender to qualify for $1250.00 NMAC cash included in online price. Our trained technicians completed the inspection process and performed a fresh synthetic oil and filter change before our detail department made it shine, now all this nice MAXIMA needs is YOU! We accept all trades and have the most competitive financing terms because of the volume power of Balise!! Call Balise Nissan of Cape Cod TODAY to schedule an appointment for a test drive at 508-815-4010 or drop by Monday - Thursday 9 - 8, Friday - Saturday 9 - 6 and open every Sunday 11 - 5! 1 OWNER!! NO ACCIDENTS!! NAVIGATION!! LEATHER HEATED AND COOLED FRONT SEATS!! HEATED REAR SEATS!! BLIND SPOT WARNING!! REAR CROSS TRAFFIC ALERT!! AROUND VIEW MONITOR!! PANORAMIC MOONROOF!! INTELLIGENT CRUISE CONTROL!! FORWARD EMERGENCY BRAKING!! Take a look at this adult owned MURANO PLATINUM AWD a squeaky clean RIGHT HERE at Balise Nissan of Cape Cod! Must finance with participating lender to qualify for $1250.00 NMAC cash included in online price. Our trained technicians competed the inspection process and performed a fresh synthetic oil and filter change before our detail department made it shine, now all this nice MURANO needs is YOU! We accept all trades and have the most competitive financing terms because of the volume power of Balise!! Call Balise Nissan of Cape Cod TODAY to schedule an appointment for a test drive at 508-815-4010 or drop by Monday - Thursday 9 - 8, Friday - Saturday 9 - 6 and open every Sunday 11 - 5! 1 OWNER!! CERTIFIED!! NO ACCIDENTS!! NAVIGATION!! HEATED LEATHER SEATS!! BACK UP CAMERA!! ALLOY WHEELS!! POWER DRIVERS SEAT!! PUSH PUTTON START W/ KEYLESS ENTRY!! LOADED UP!! Take a look at this adult owned MURANO SL with a squeaky clean AutoCheck RIGHT HERE at Balise Nissan of Cape Cod! This NISSAN MURANO SL is fully equipped with PW, PL, and much more! Must finance with participating lender to qualify for $1,250.00 dealer certificate included in online special price! Our trained technicians competed the inspection process and performed a fresh synthetic oil and filter change before our detail department made it shine, now all this nice MURANO needs is YOU! We accept all trades and have the most competitive financing terms because of the volume power of Balise!! Call Balise Nissan of Cape Cod TODAY to schedule an appointment for a test drive at 508-815-4010 or drop by Monday - Thursday 9 - 8, Friday - Saturday 9 - 6 and open every Sunday 11 - 5! 1 OWNER!! NO ACCIDENTS!! NAVIGATION!! MOONROOF!! HEATED LEATHER SEATS!! POWER TAILGATE!! LOADED UP SL W/ PREMIUM PACKAGE!! Take a look at this adult owned NISSAN PATHFINDER SL 4WD with a squeaky clean AutoCheck RIGHT HERE at Balise Nissan of Cape Cod! This NISSAN is fully equipped with PW, PL, and much more! Our trained technicians competed the inspection process and performed a fresh synthetic oil and filter change before our detail department made it shine, now all this nice NISSAN needs is YOU! We accept all trades and have the most competitive financing terms because of the volume power of Balise!! Call Balise Nissan of Cape Cod TODAY to schedule an appointment for a test drive at 508-815-4010 or drop by Monday - Thursday 9 - 8, Friday - Saturday 9 - 6 and open every Sunday 11 - 5! 1 OWNER!! CERTIFIED!! NO ACCIDENTS!! BACKUP CAMERA!! BLUETOOTH!! 3RD ROW!! PUSH BUTTON IGNITION!! Take a look at this adult owned NISSAN PATHFINDER S with a squeaky clean AutoCheck RIGHT HERE at Balise Nissan of Cape Cod! Must finance with participating lender to qualify for $1250.00 dealer certificate included in online special price! Our trained technicians completed the inspection process and performed a fresh synthetic oil and filter change before our detail department made it shine, now all this nice PATHFINDER needs is YOU! We accept all trades and have the most competitive financing terms because of the volume power of Balise!! Call Balise Nissan of Cape Cod TODAY to schedule an appointment for a test drive at 508-815-4010 or drop by Monday - Thursday 9 - 8, Friday - Saturday 9 - 6 and open every Sunday 11 - 5! 1 OWNER!! CERTIFIED!! NO ACCIDENTS!! HEATED CLOTH SEATS!! BLUETOOTH!! REMOTE START!! REAR VIEW CMAERA!! REAR PARKING SENSORS!! LOAED UP!! Take a look at this adult owned PATHFINDER SV with a squeaky clean AutoCheck RIGHT HERE at Balise Nissan of Cape Cod! This NISSAN PATHFINDER SV is fully equipped with PW, PL, and much more! Must finance with participating lender to qualify for $1250.00 dealer certificate included in online special price! Our trained technicians completed the inspection process and performed a fresh synthetic oil and filter change before our detail department made it shine, now all this nice PATHFINDER needs is YOU! We accept all trades and have the most competitive financing terms because of the volume power of Balise!! Call Balise Nissan of Cape Cod TODAY to schedule an appointment for a test drive at 508-815-4010 or drop by Monday - Thursday 9 - 8, Friday - Saturday 9 - 6 and open every Sunday 11 - 5! 1 OWNER!! CERTIFIED!! NO ACCIDENTS!! HEATED SEATS!! HEATED STEERING WHEEL!! 4WD!! BACKUP CAMERA!! BLUETOOTH!! PUSH BUTTON IGNITION!! POWER SEATING!! Take a look at this adult owned PATHFINDER SV with a squeaky clean AutoCheck RIGHT HERE at Balise Nissan of Cape Cod! This NISSAN PATHFINDER SV is fully equipped with PW, PL, and much more! Must finance with participating lender to qualify for $1,250.00 dealer certificate included in online special price! Our trained technicians completed the inspection process and performed a fresh synthetic oil and filter change before our detail department made it shine, now all this nice PATHFINDER needs is YOU! We accept all trades and have the most competitive financing terms because of the volume power of Balise!! Call Balise Nissan of Cape Cod TODAY to schedule an appointment for a test drive at 508-815-4010 or drop by Monday - Thursday 9 - 8, Friday - Saturday 9 - 6 and open every Sunday 11 - 5! 1 OWNER!! CERTIFIED!! HEATED SEATS!! BLUETOOTH!! BACKUP CAMERA!! REMOTE START!! FOG LIGHTS!! 3RD ROW!! PUSH BUTTON IGNITION!! Take a look at this adult owned NISSAN PATHFINDER SV with a squeaky clean AutoCheck RIGHT HERE at Balise Nissan of Cape Cod! Must finance with participating lender to qualify for $1250.00 dealer certificate included in online special price! Our trained technicians completed the inspection process and performed a fresh synthetic oil and filter change before our detail department made it shine, now all this nice PATHFINDER needs is YOU! We accept all trades and have the most competitive financing terms because of the volume power of Balise!! Call Balise Nissan of Cape Cod TODAY to schedule an appointment for a test drive at 508-815-4010 or drop by Monday - Thursday 9 - 8, Friday - Saturday 9 - 6 and open every Sunday 11 - 5! 1 OWNER!! CERTIFIED!! NAVIGATION!! HEATED LEATHER SEATS!! BACKUP CAMERA!! BLIND SPOT WARNING!! PUSH BUTTON IGNITION!! POWER LIFT GATE!! Take a look at this adult owned PATHFINDER SL a squeaky clean RIGHT HERE at Balise Nissan of Cape Cod! Must finance with participating lender to qualify for $1250.00 NMAC cash included in online price. Our trained technicians completed the inspection process and performed a fresh synthetic oil and filter change before our detail department made it shine, now all this nice PATHFINDER needs is YOU! We accept all trades and have the most competitive financing terms because of the volume power of Balise!! Call Balise Nissan of Cape Cod TODAY to schedule an appointment for a test drive at 508-815-4010 or drop by Monday - Thursday 9 - 8, Friday - Saturday 9 - 6 and open every Sunday 11 - 5! A used car has plenty of value for the right driver, and that’s especially true when taking a look at the used Nissan models here in Cape Cod that give you some of the best, long-lasting and enjoyable vehicles from our favorite brand. If you’re in Barnstable, Falmouth, Plymouth or Bourne, MA, or Martha’s Vineyard or Nantucket, visit our Hyannis, MA used Nissan dealership today and see what great pre-owned options we have from everyone’s favorite car maker. From smaller sedans and coupes to more premium four-door cars, to used SUVs, crossovers, trucks and more, there are plenty of great used Nissan options here on the Cape. Explore this lineup of used Nissan Versa, Altima, Juke, Quest, Rogue, Maxima, Pathfinder and other popular models and see if there’s a setup, style and price that works for you. With used Nissan vehicles from some fairly new model years, you can find a great price on a vehicle that’s loaded with the kind of modern features we know you’re probably looking for. Beyond featuring an impressive lineup of pre-owned vehicles, our Cape Cod dealership will also help you sort through your used Nissan loan and financing options. That way you can find the down payment and monthly costs that make sense for you, all for a great used Nissan that you’ll love. Keeping your used Nissan on the road isn’t hard, but does require the use of our service center, which is staffed by highly trained and experienced technicians who can keep any car running at its best. Whether you’re out on Cape Cod or on one of the islands, we can help you find the kind of used Nissan that works best. 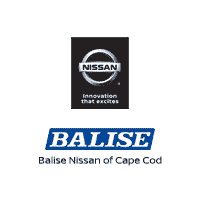 Visit us at Balise Nissan of Cape Cod today and we’ll get you started.